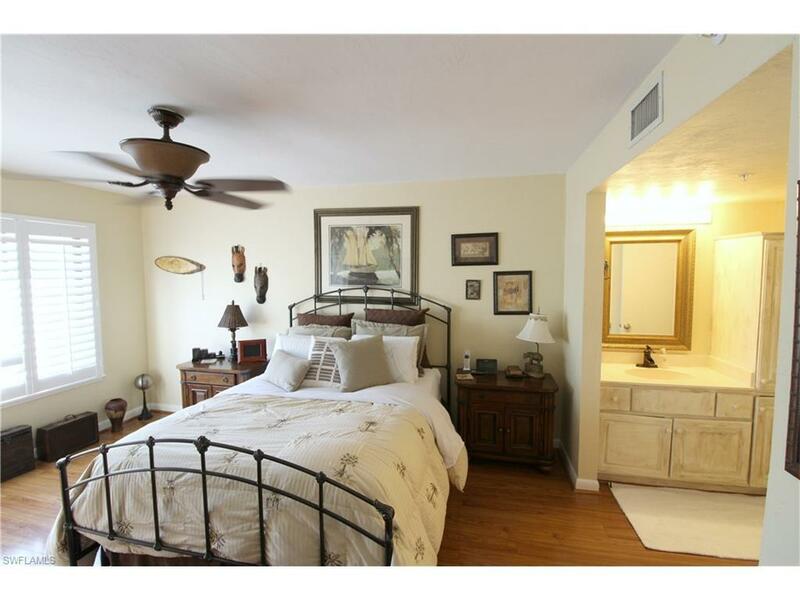 This gorgeous Gulf Access condo has the perfect rental potential or you could make it your very own seasonal retreat. Enjoy the sunrise from your eastern exposure, screened balcony. Rare 1 Bedroom 1 and 1/2 Bath, newly remodeled kitchen comes complete with granite counter tops, top of the line appliances and your very own laundry room in the residence. Enjoy the incredible amenities which include community pool, community spa (one of the only condo associations with a spa), capabilities of leasing/buying boat dock with boat lift, fish cleaning station on premises, private gazebos for your personal use (including community propane grills for residence), key pad entry for safety with access to the brand new elevators, car washing station, pickle ball court, and private storage. This condo has not been rented to anyone by current owner. Other amenities include geo-thermal community pool, marina next door, white sandy beaches, plaza for any necessity, fine and casual dining, coffee shop, convenience stores, pharmacy, gift shopping, theater, beach and tiki bar, walking distance of the complex. 7 day rental minimums with 52 week rental potential, schedule your showing TODAY!